Princess Cruises has unveiled new details revealing features onboard its new ship Sky Princess, including a first look at its first-ever Sky Suites. The accommodations are centrally located on the top decks of Sky Princess and feature the largest private balconies ever offered by the line. 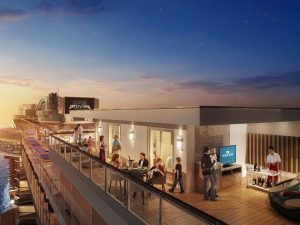 Measuring 700 square feet, the balconies will provide a private vantage of the ship’s Movie under the Stars screen and create the ultimate space for entertaining. The two suites will also offer a 270-degree panorama and have sleeping capacity for five guests, and more for entertaining — making them ideal for families. “Our two new Sky Suites reflect Princess Cruises’ continued commitment to offer new and expansive accommodations that meet the needs of our guests who wish to explore the world in ultimate comfort,” said Jan Swartz, President, Princess Cruises. She also added that Princess Cruises’ guests could look forward to the roll-out of more new features as the cruise line’s fleet expanded debuting in the Mediterranean in October 2019. The 143,700-ton Sky Princess will include the best of the stunning features found on its three sister ships as well as new offerings that represent an evolution of the current ships’ designs. In addition to the Wake view pool, Sky Princess guests will enjoy two new deep-tank top deck pools, a restorative Retreat Pool, and more jacuzzis than previous Royal-Class ships including two jacuzzis cantilevered over the deep-tank pools. Nishith Saxena, Founder & Director, Cruise Professionals, shared, “Princess Cruises has always been in the forefront of meaningful innovations which enhance customer experience and it is great to see innovations like Ocean Medallions & Sky Suites which are changing the way high-end clients perceive cruising. Building on 125 years of Norwegian pioneering heritage, Hurtigruten marked its anniversary by banning single use plastic and throwing the world’s longest plastic free birthday party, extending over 11,000 nautical miles, from Seattle in the west and Hong Kong in the east, to Svalbard in the High North, and along the Norwegian coast. 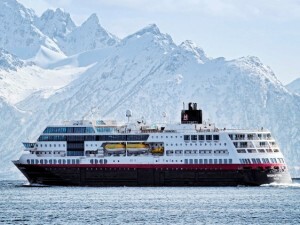 The birthday was celebrated in Hurtigruten ports, destinations, ships and offices, without use of any single use plastic items. “The initiative to ban single use plastic needs to be applauded as this signifies that there are businesses which are conscious of their surroundings and would do all possible to minimise the damage to the environment. 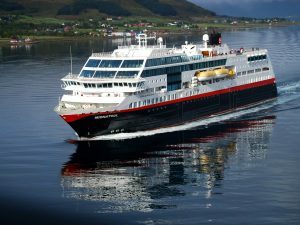 Very recently, we have heard that Maharashtra is the first state in India to ban single use plastic – if similar initiatives could also be taken in other cities as well then our cities would not choke on plastic and be more liveable, said Nishith Saxena, Director, Cruise Professionals – the sole GSA for Hurtigruten in India.